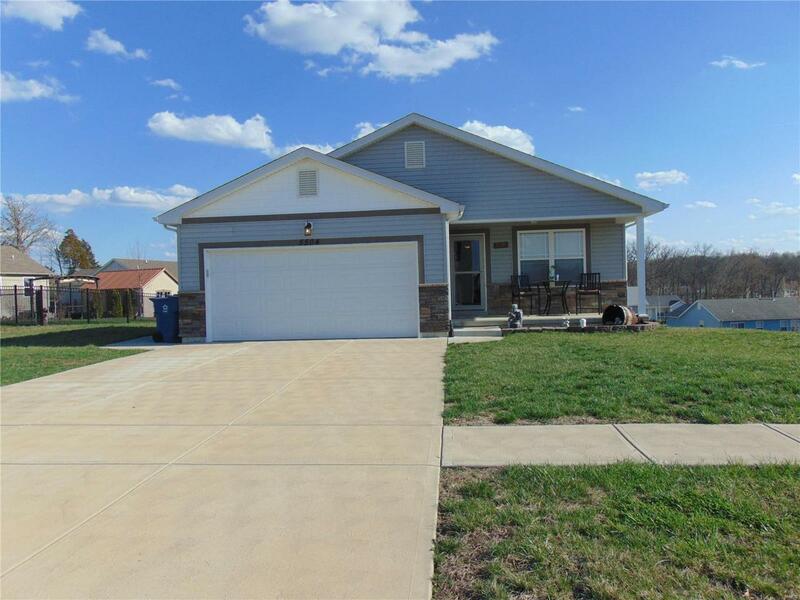 Welcome to this beautifully maintained 5 year old ranch style home with 3 Bedroom / 2 Bath offering an open floor plan with vaulted ceilings and cozy gas fireplace in great room and beautiful hardwood floors. Kitchen offers custom cabinets and ample counter space for entertaining. Off of the kitchen is the outside door that leads you to the larger outdoor concrete patio, perfect for family / friend gatherings or that summertime BBQ! Back inside features include walk-in closets in bedrooms & master bedroom completed with a full bath. 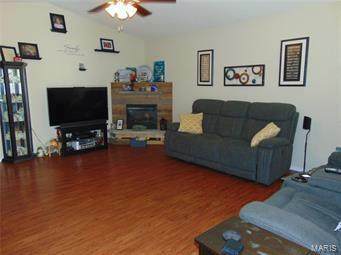 Full walk-out basement with a roughed in bathroom and extra spaces awaits your personal touches! This home is within minutes of shopping, dining, entertainment, schools and major highways. Don't miss your chance ... Schedule your private showing today! Pool table is negotiable and utility shed is not included unless its a full price offer of $179K.